Winter is in full swing, bringing snow, ice, cold temperatures and dry, dry air. All that cold and dryness isn’t good for your skin, which is why it’s important to take steps to care for your skin when winter comes. If you’re coming in for a series of spa treatments in Philadelphia, we’ll help you keep your skin looking radiant, but there are certain skin care practices you can do at home. Here are five essential tips for winter skin care to get you through to the spring. Use a gentle daily cleanser that won’t rob your skin of its natural oils. Look for a hydrating cleanser if possible. It won’t dry you out, and will leave your skin feeling soft. Taking very hot showers will also remove some of your skin’s natural oils. Proper exfoliation makes sure all the good work you’ve paid for during your spa treatment holds up until the next visit. The exfoliating product you choose will depend on whether you have excessively dry skin, oily skin, or skin that’s somewhere in between. Keep your skin protected and hydrated with nourishing topical oils. Coconut oil, neem and oils with Vitamin A and Vitamin C are all good choices. 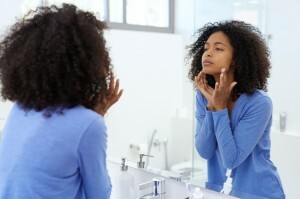 After you’ve used an exfoliant, try to moisturize in the morning and at night. Go with an emollient-rich, free radical fighting moisturizer. Your skin isn’t the only place you should be hydrating in the winter. Winter skin care happens on the inside as well as the outside. When you drink a lot of water, and stick to a diet rich in Omega-3 fatty acids, you’ll be keeping your skin well-lubricated. If you still need help, or just need a relaxing way to escape winter’s cold, contact Body Restoration. Our services include full spa treatments in Philadelphia, massages, facials and other treatments to make your skin look and feel its best.